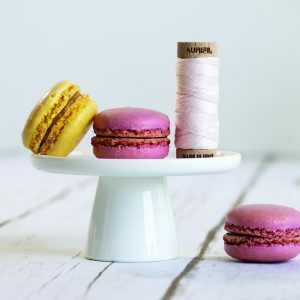 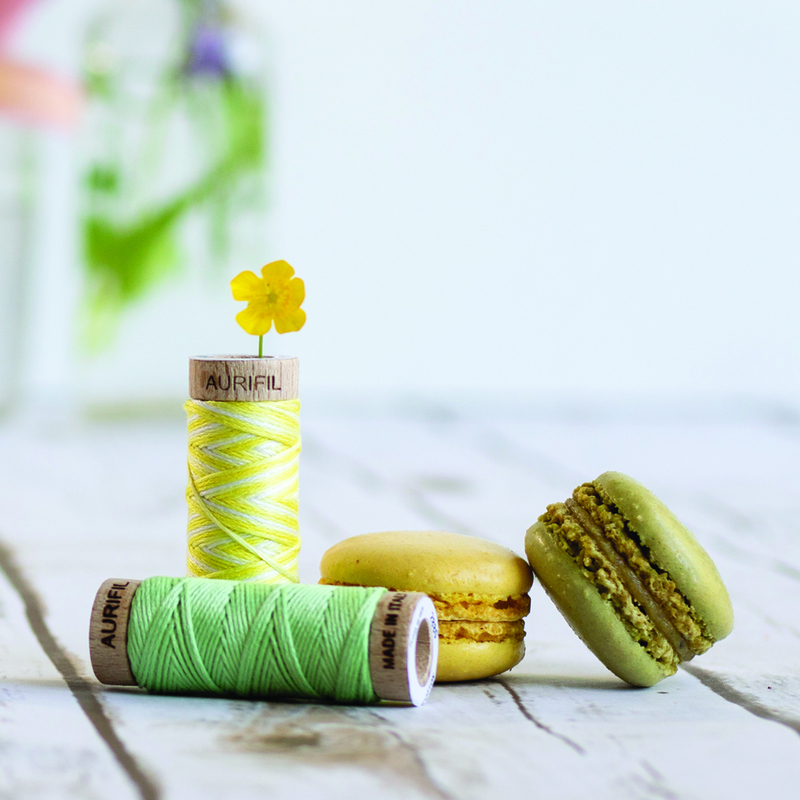 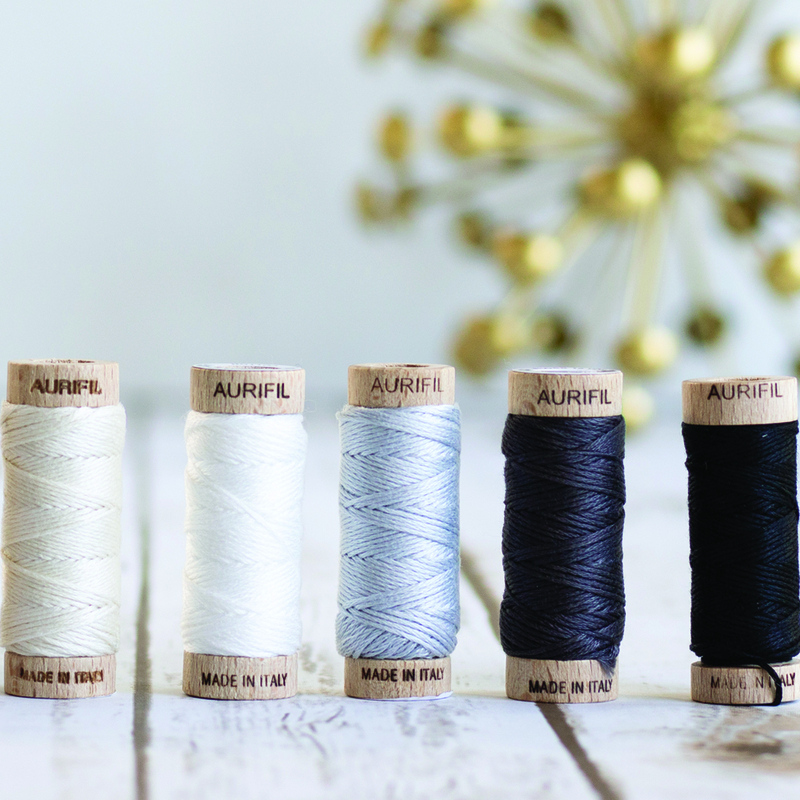 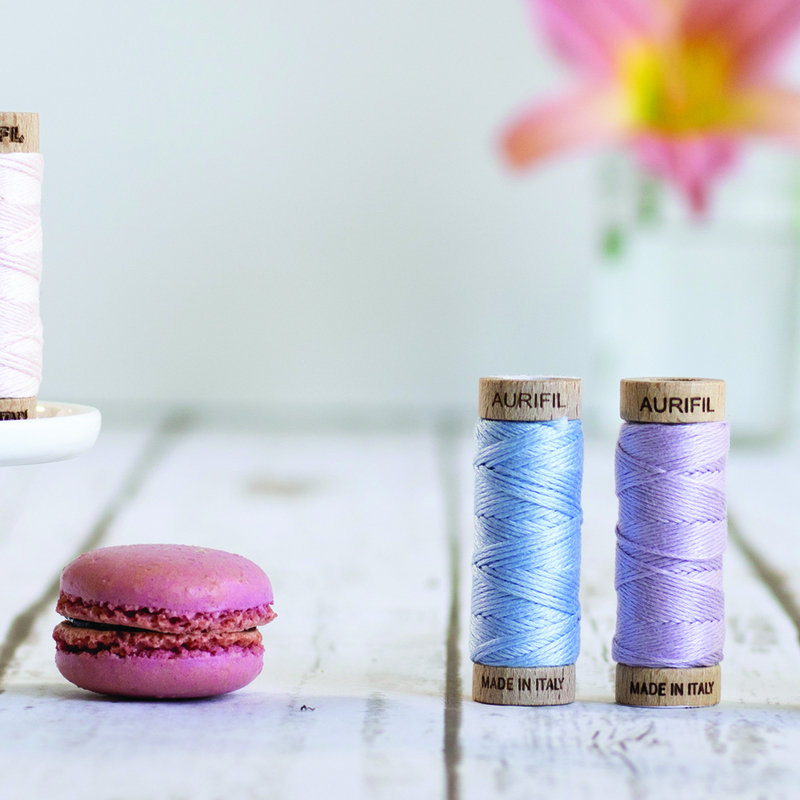 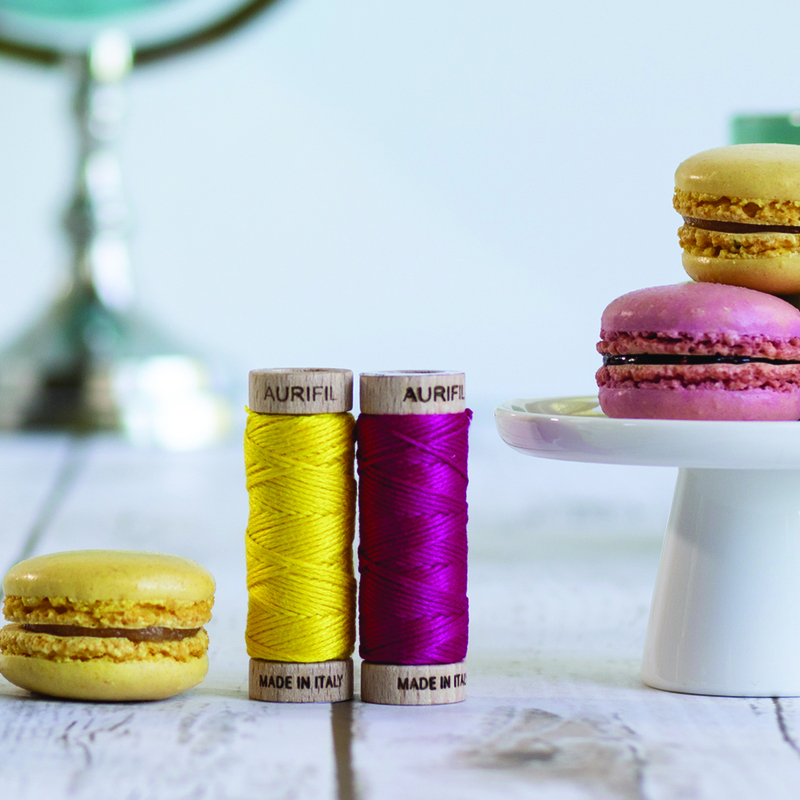 Aurifil’s 6-strand 100% Cotton floss is wound on a gorgeous wooden spool, perfect for easy travel and the prevention of pesky tangles! 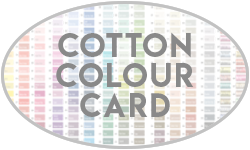 It is available in all 270 of our Cotton colors and boasts 18 yards per spool. 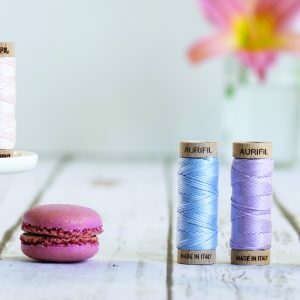 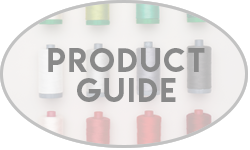 We find Aurifloss to be excellent for Cross Stitch, Huck Embroidery, Miniature Punch-Needle Embroidery, Tatting, Needle Point, Crochet, Applique, Big Stitch Quilting, Accent stitching on garments and other items, and hand embroidery. 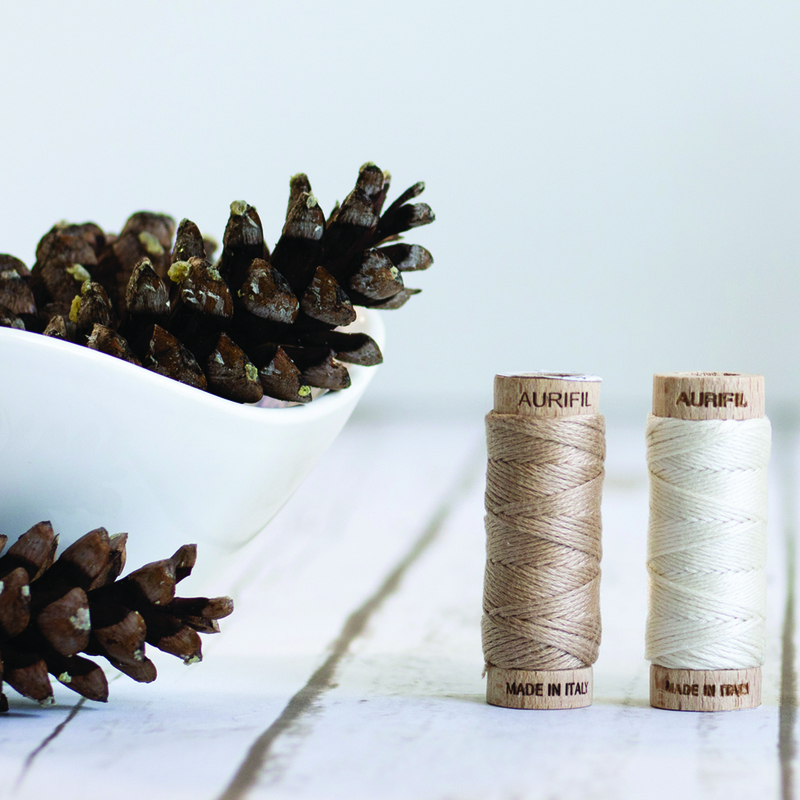 Match needle according to project. 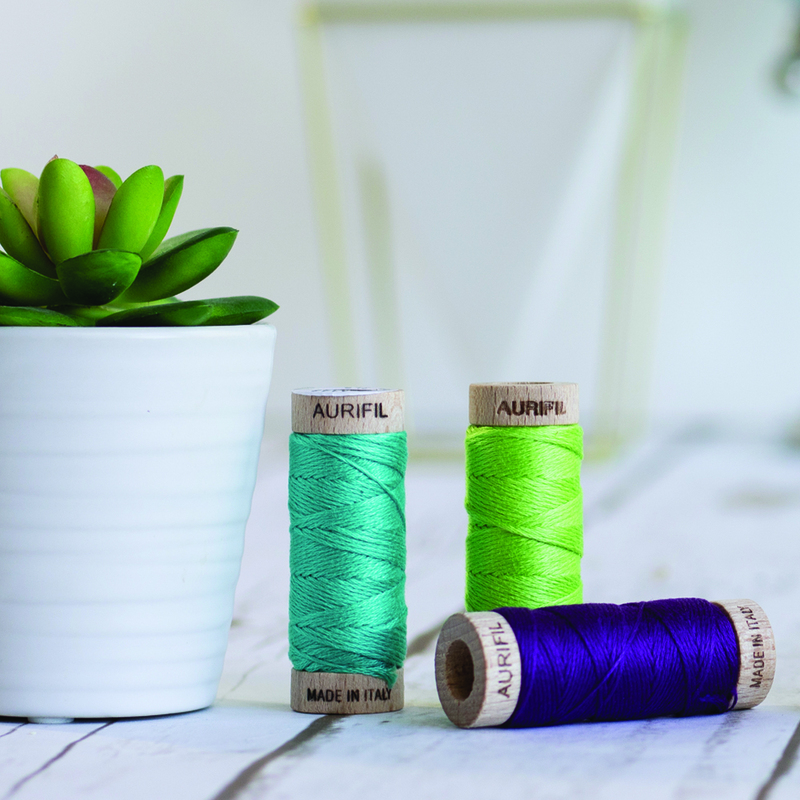 Use a short length of thread, around 12”-18”, to reduce tangling.